The federal appellate court ruled that Judge Legg used an unrealistic standard when measuring the statute’s possible benefits of protecting the public and lowering violent crime levels. The court rationed that no statute could ever eliminate all handgun related hazards, but the Maryland good and substantial reason does serve to lower the potential hazard. 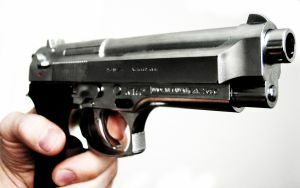 The three-judge panel concluded that the state “clearly demonstrated” that the law “advances the objectives of protecting public safety and crime because it reduces the number of handguns carried in public.” Additionally, the court ruled that it was constitutional for citizens to have the burden to provide evidence that proves he or she has a good and substantial need to carry. Counsel on behalf of the appellee and The Second Amendment Foundation argued that the Second Amendment right to bear arms has been held by the Supreme Court to be a fundamental right, and therefore citizens should not have to prove to the government that there is a reason to exercise this right. Had the appellate court not upheld the law, state police estimated that as many as 15,000 new permit applications would be filed in the next year. Police now estimate a more modest 3,500 new applications for the year following the court’s opinion. The recent ruling will likely be appealed via a petition to the Supreme Court, or in the 4th Circuit in an en banc review by all the appellate judges. It is reasonable to assume that the Supreme Court would decide to grant the petition, considering the impact this opinion may have on the future of gun control in America. For now though, the Maryland Attorney General’s office and Governor O’Malley received a shot in the arm that may help further their agenda to further tighten state gun laws. Legislation that may soon cross the Governor’s desk includes a ban on assault rifles and a requirement that all gun buyers submit to fingerprinting. The bill banning assault weapons is currently being debated in the House of Delegates, while the fingerprint plan awaits a vote in the Senate. Benjamin Herbst is a Maryland criminal defense lawyer specializing in all gun crimes. Contact Mr. Herbst for a free consultation about any pending legal or permit issues. Appeals court upholds key provision of Maryland’s gun-control law, washingtonpost.com.